We adhere to the highest of breeding standards so that we may produce the healthiest puppies possible. We will not knowingly breed dogs that have health problems which is why we do additional genetic testing along with regular health clearances for the breed. Our breeding dogs have been examined by a veterinarian, cardiologist and ophthalmologist and are cleared for both heart and eye issues. 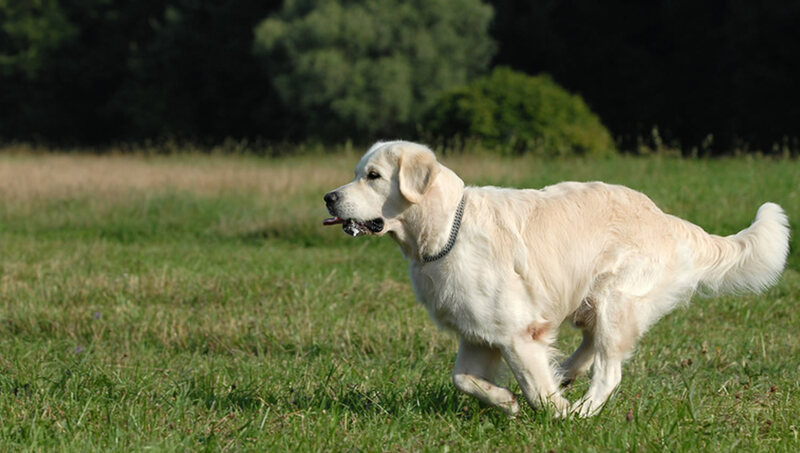 All of Regalgoldens breeding dogs have also had their hips checked for hip dysplasia using OVC (Ontario Veterinary College), OFA (Orthopedic Foundation for Animals), BVA (British Veterinarian Association), Fédération Cynologique Internationale (FCI) or PennHip (University of Pennsylvania) testing. These tests are important because you can't tell just by looking at a dog if it has hip dysplasia. Hip dysplasia is both a genetic and environmental disease that affects larger breed dogs. We believe nutrition and supplements also play an important role in the prevention of this disease. Responsible breeders will not breed dogs that have not had their health clearances. Make sure when you are selecting a breeder, that you ask about the sire and dam's pedigree and health clearances. Pedigrees should be traced back many generations. 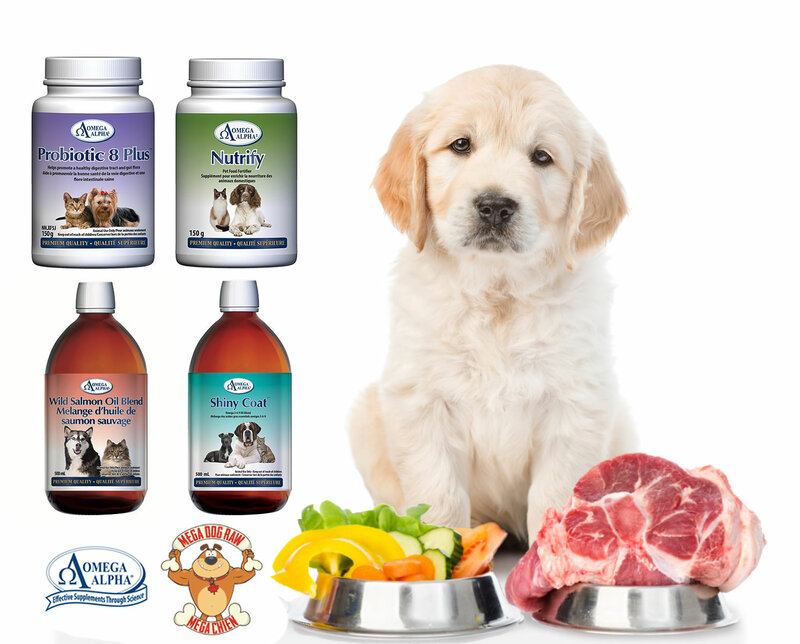 Regalgoldens puppies and dogs are all fed a raw “unprocessed” diet with the supplements shown. Our resident and fostered dogs have been fed raw for approximately 6 years. During this time we have not only seen our vet visits decrease but also seen improvement on our pups’ and dogs’ health clearances for hips, heart and eyes. Not to mention shiny coats, spotlessly clean teeth and firm odorless stools. Pregnant and nursing dogs are fed nutritional supplements to pass onto their puppies in the womb. Good nutrition begins when the puppies are developing. We encourage every pet owner to continue feeding premium foods supporting good joint, heart and eyes as well as immune system support. Please do not feed your dog table scraps or junk food. This has no nutritional value for your pet and in the long term may cause more harm like excess weight which can lead to heart issues along with hip and joint problems etc.